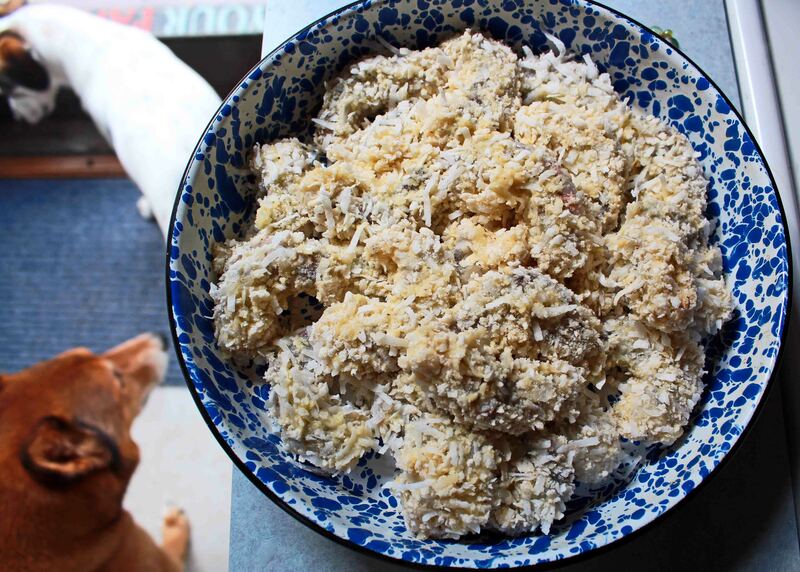 Bravery through photography, cooking, derby & dogs! I don’t know about your neck of the woods but summer is in full swing here on the Cape. It always gets crowded but this year is pure madness. People are everywhere! I’m having little panic attacks with all these crowds. Don’t worry about me though, I’m a tough little cookie. I’m make it through to Fall. Sweet, sweet Fall. I miss you! My corduroy, scarves and boots are waiting! But since it is summer and it is crowded I’m going to share with you one of my households go to meals so you don’t have to stand in line at a fish fry shack. 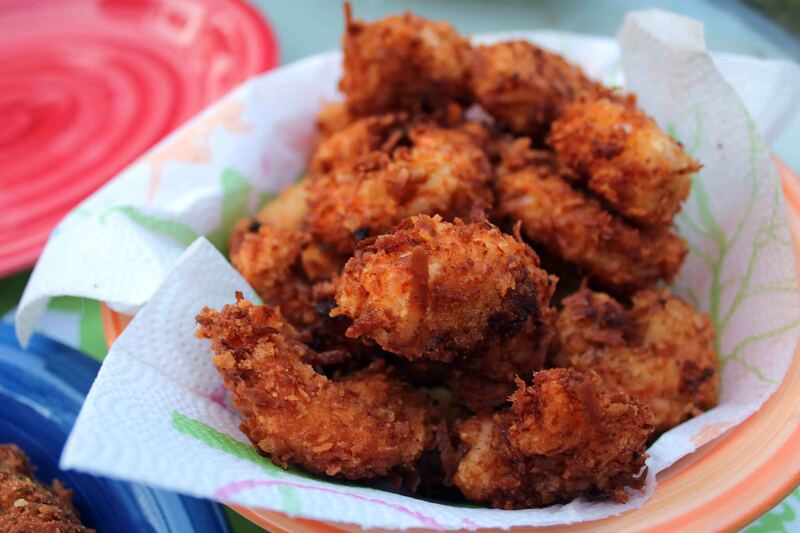 Coconut shrimp! It is one of my husband’s favorite and he requests I make it often. 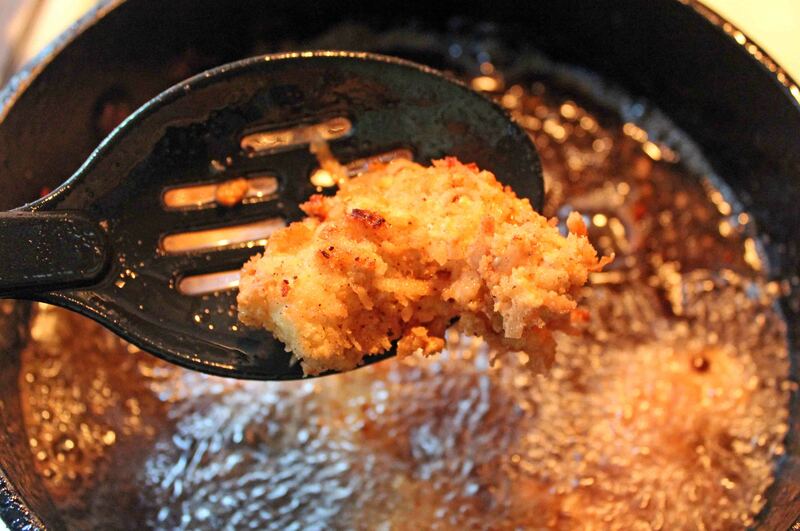 It is crunchy with a little touch of sweetness and so simple. Like ridiculously simple. It goes perfect with these onion rings and since it is summer and blueberries my food of choice this buckle for dessert. 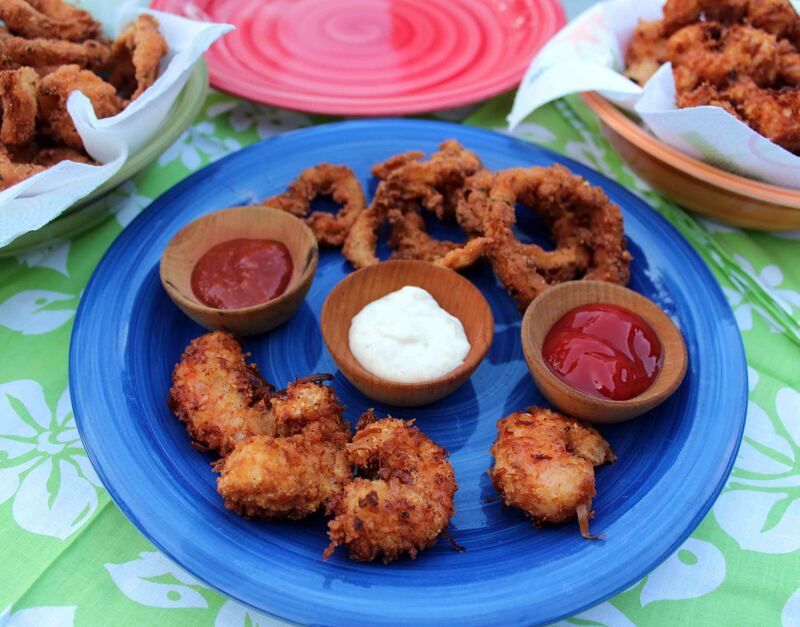 There, now you have a perfect summer meal to have at your home oasis away from the crowds! 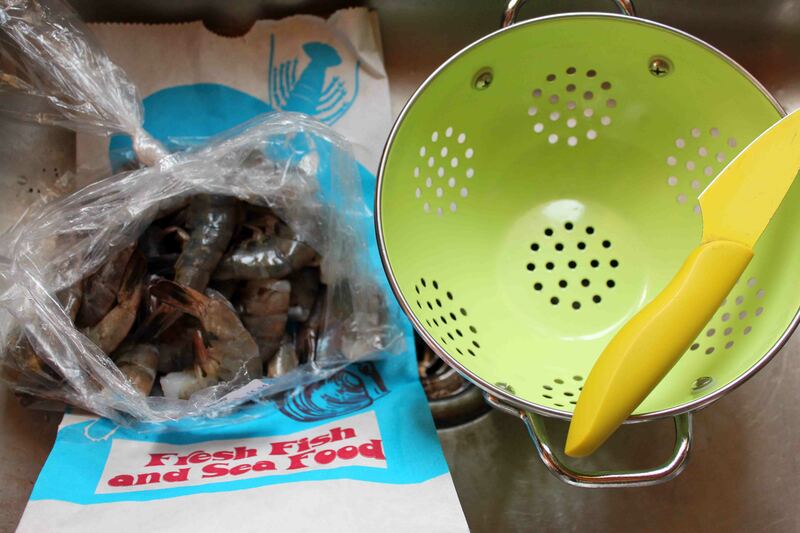 First you brave the crowded streets of Cape Cod and get to the fish market…no easy feat. Some shrimp peeling, I love this part! Your fish monger should do this for you if you ask. Ready to get frying and some lurkers. Put them on a paper towel and then eat them all up! Peel and deveined shrimp. Your fish monger can do this for you if you don’t care too. I happen to enjoy doing this, don’t judge. Gather your ingredients and make an assembly line. 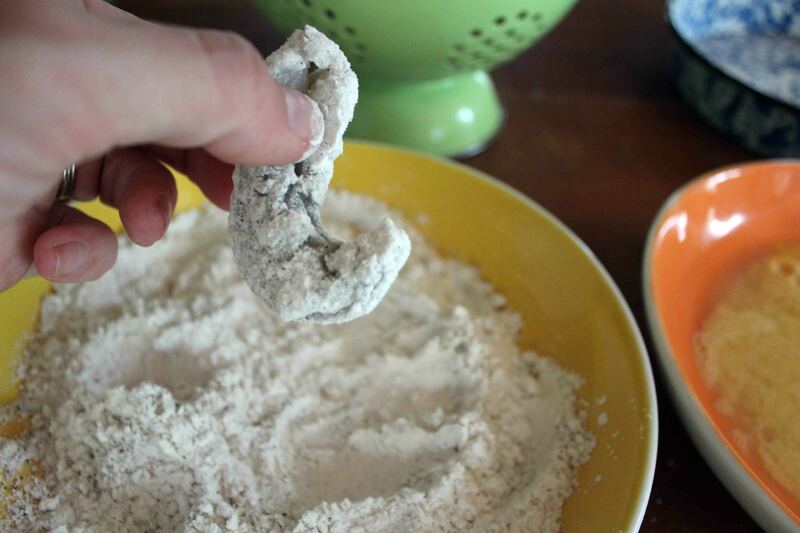 Get three shallow bowls, in one mix the flour and pepper. 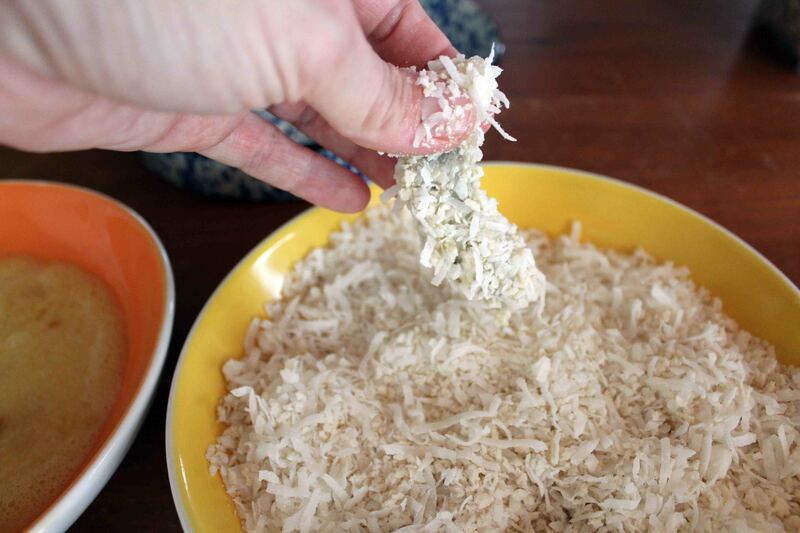 In the second whisk the eggs and buttermilk and the third mix the panko and coconut flakes. 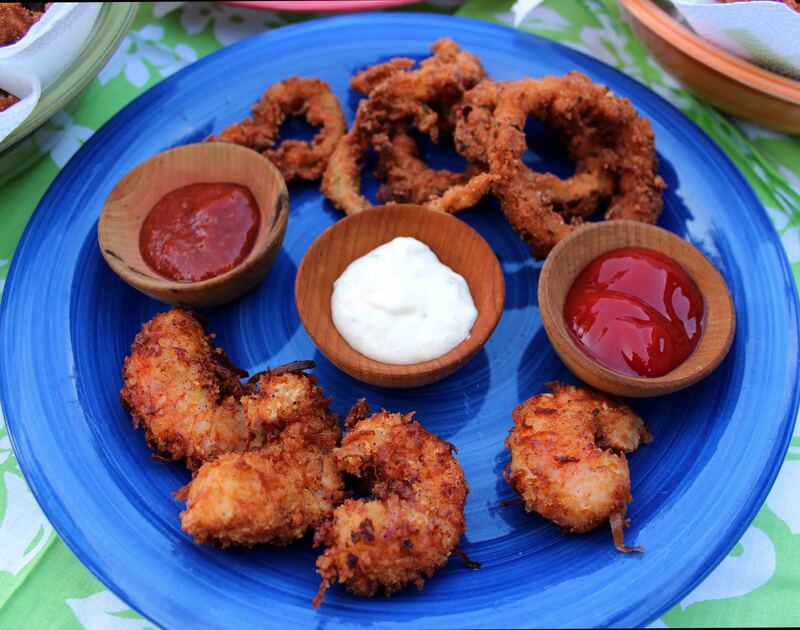 Have a clean plate ready to line up battered shrimp. 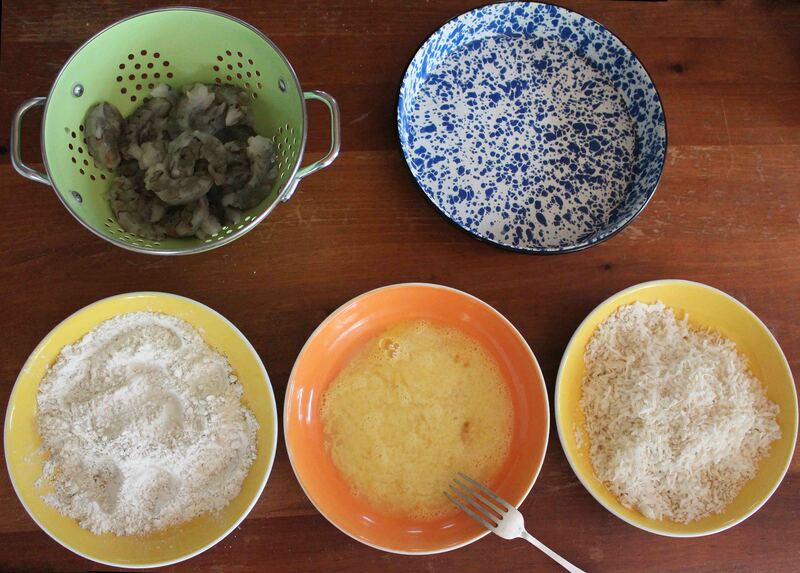 One at a time coat the cleaned shrimp into the flour mix, then the egg mix and then the panko/coconut mix. Lightly shake off any excess and place on plate. Continue with the rest until all are coated. 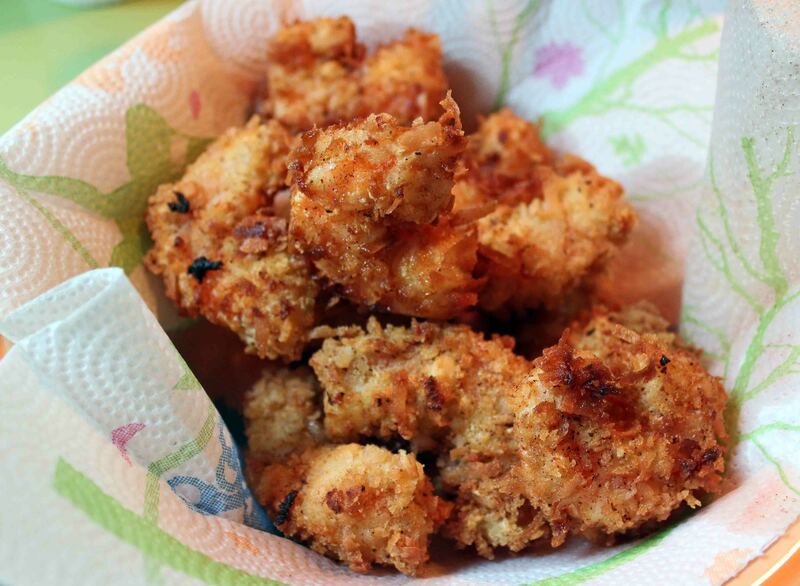 Place coated shrimp in fridge for a 1/2 hour. Heat oil in a heavy bottomed pot to 350 degrees. Please be careful when working with hot oil, just saying. 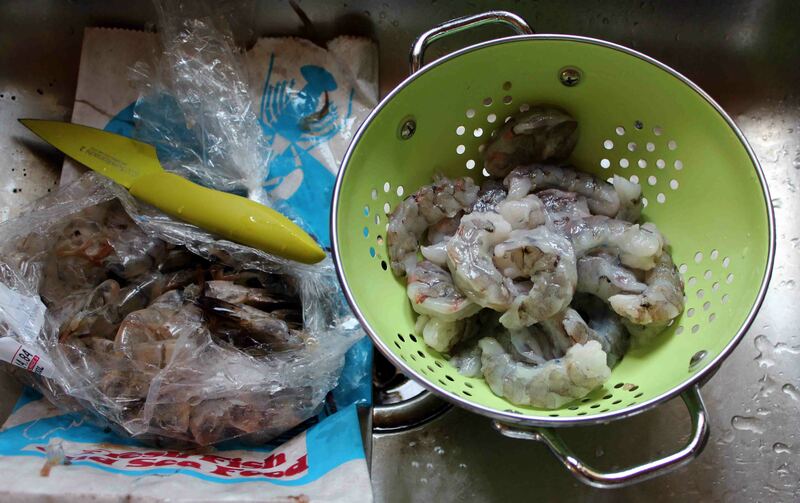 Working with 3 or 4 at a time carefully place shrimp into oil. Watch closely because they fry up quick. 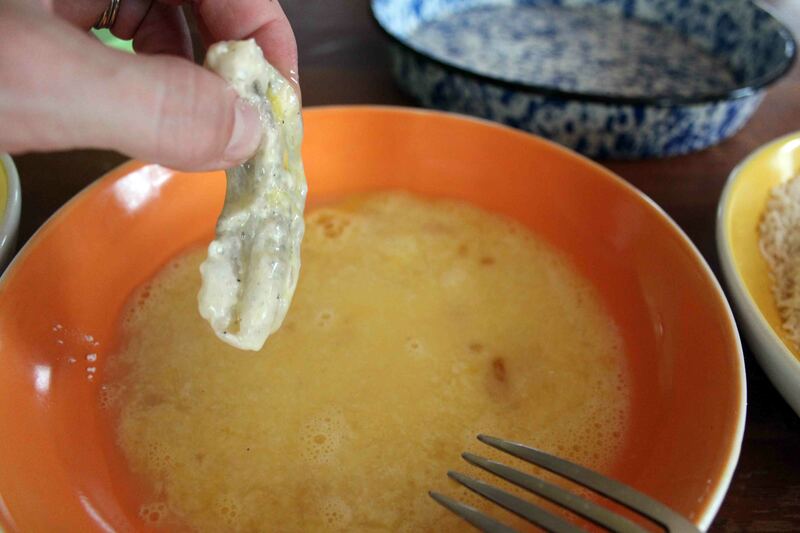 After about a minute or two flip and then remove from oil to a paper towel when golden brown. Continue until all are fried up. Serve with some tartar and cocktail sauce and a nice side of onion rings. Enjoy! 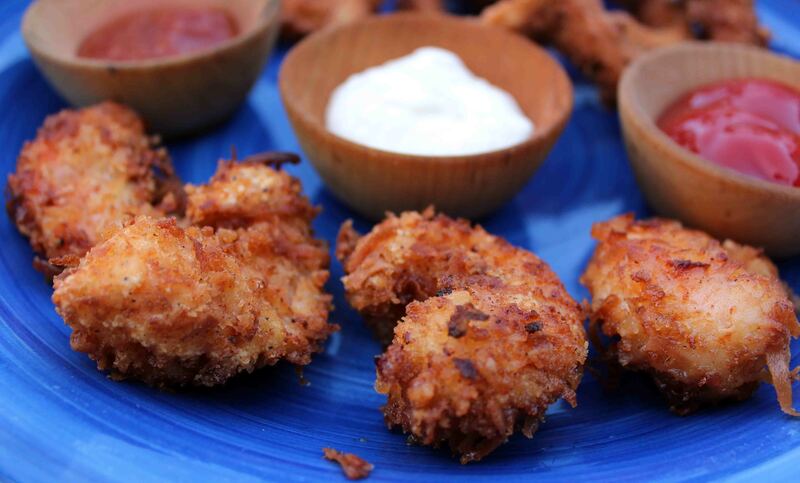 Bravo, those look amazing…especially at 11:26AM!